As extraperitoneal hernia repair (TEP) takes place outside of the abdominal cavity, with mesh placed between the musculature of the abdominal wall, mesh design is focused on optimal tissue integration and tissue healing, and how the mesh conforms with the movement of the abdomen, while providing sufficient mechanical support over time. Resorbable materials are being increasingly incorporated into mesh for extraperitoneal repair, with the preference that no foreign material remain in the body post healing. The use of resorbable materials in hernia mesh depends on the specific nature of each hernia, and the risk of recurrence. Aran Biomedical has significant experience, designing and manufacturing mesh products to meet the needs and criteria of the extraperitoneal hernia repair market from non-resorbable to fully resorbable designs. Aran Biomedical provides flat sheet mesh for fascial defect and hernia repair indications, featuring customised knit designs and pore configurations. 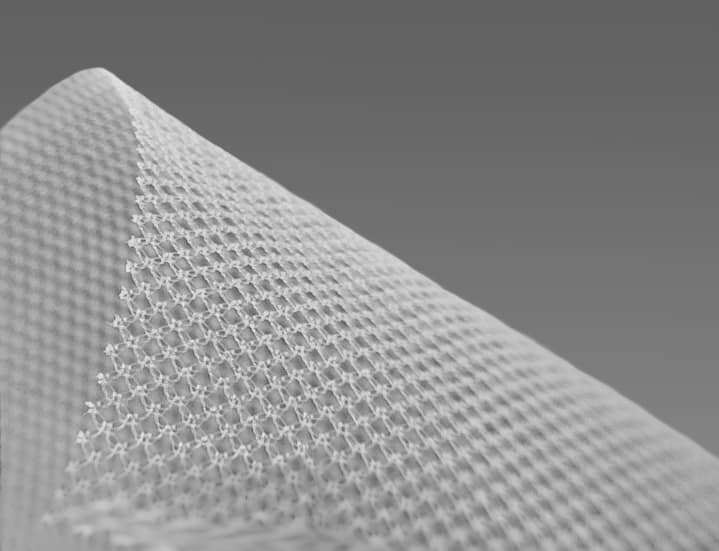 Mesh can be designed in a 2D or 3D knit structure to provide a scaffold for tissue integration and can be made using either single yarn or multiple materials. All mesh is laser machined to dimensional specifications, associated with the indication for use e.g. ventral, parastomal, umbilical etc. The mesh can also be heat-formed into defined anatomical shapes to facilitate specific hernia repair procedures. Aran Biomedical offers a fully integrated solution for development and supply of mesh products, from the resin to the finished device. Our proprietary medical grade polypropylene resin, ProTEX Med, is available for use in all of our textile manufacturing. 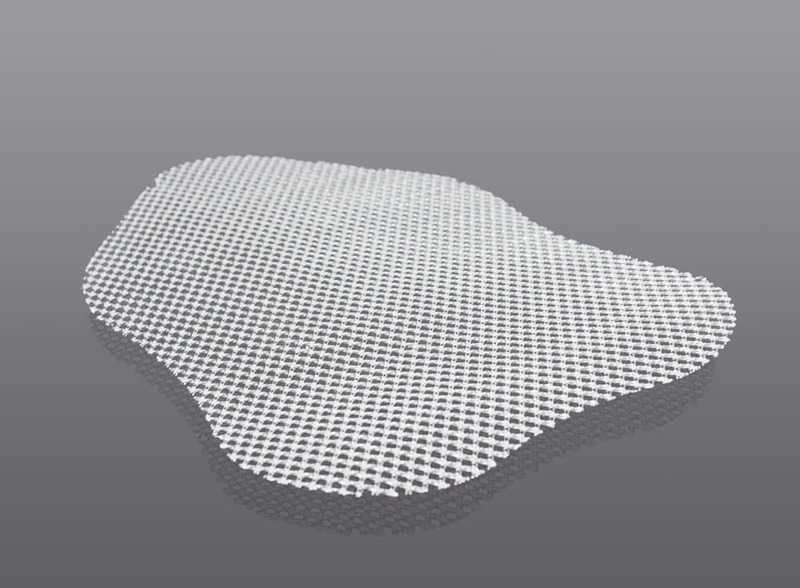 In addition, our proprietary processing techniques can help to deliver superior performance, such as handling, improved feel and reduced edge roughness, to facilitate mesh placement and minimise foreign body reaction in-vivo. Supported by comprehensive design, manufacturing and regulatory expertise, we can take your product from concept to finished device. However, as tissue integrates into the mesh during healing, there is gradual mass loss of resorbable fibres, resulting in a lightweight non-resorbable mesh remaining to provide long term support. Resorbable mesh has become increasingly popular in the repair of certain extraperitoneal hernias, as a means to provide the short term support necessary during the healing process, while leaving no foreign material in the body long term. Mechanical properties e.g. stiffness/ material modulus. Degradation – rate of material resorption, in relation to regeneration rate of local tissue. Pore architecture – selection of pore size and distribution appropriate to local cell type.